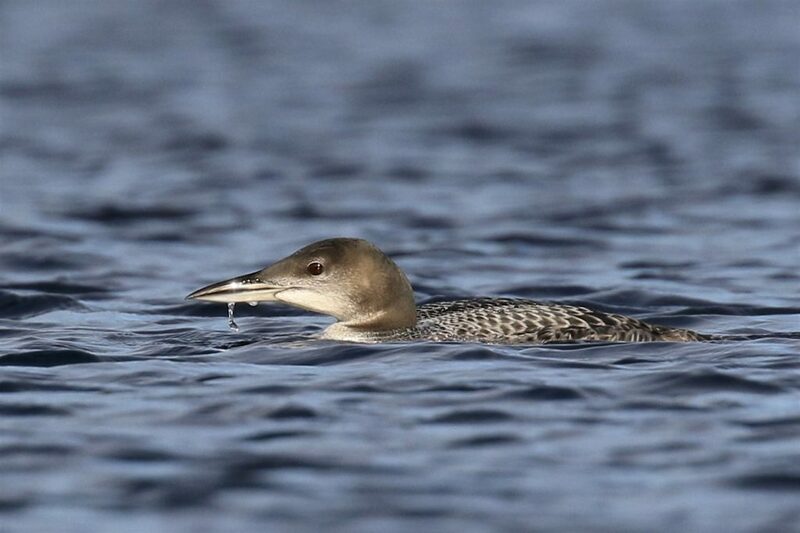 QUICK POST: Every once in a while you go out looking for a specific bird and you find it. That’s what happened to me tonight when I went out to the Black Dirt hoping for Black-bellied Plovers. I had located a collection of plovers – many Killdeer and a good number of American Golden-Plovers. 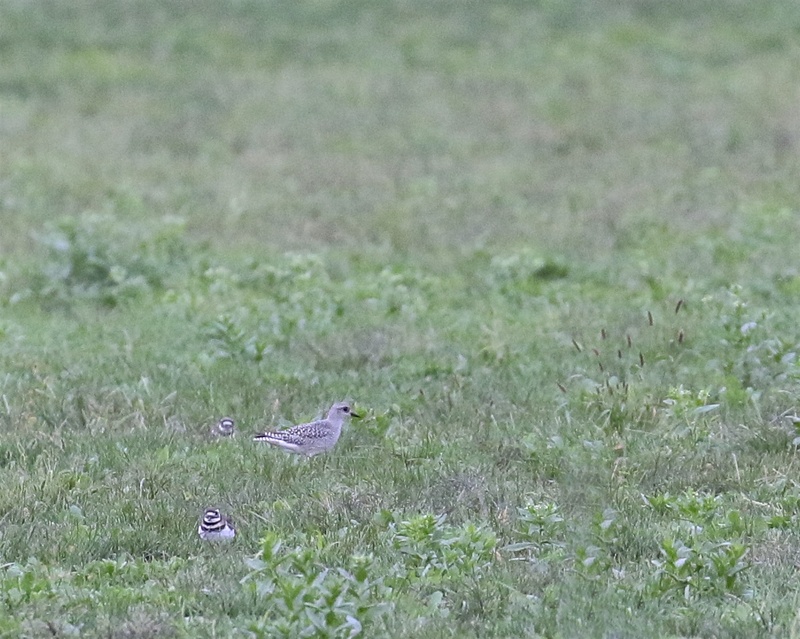 There were 4 plovers that were slightly larger than the AMGPs, with a noticeably more substantial bills. 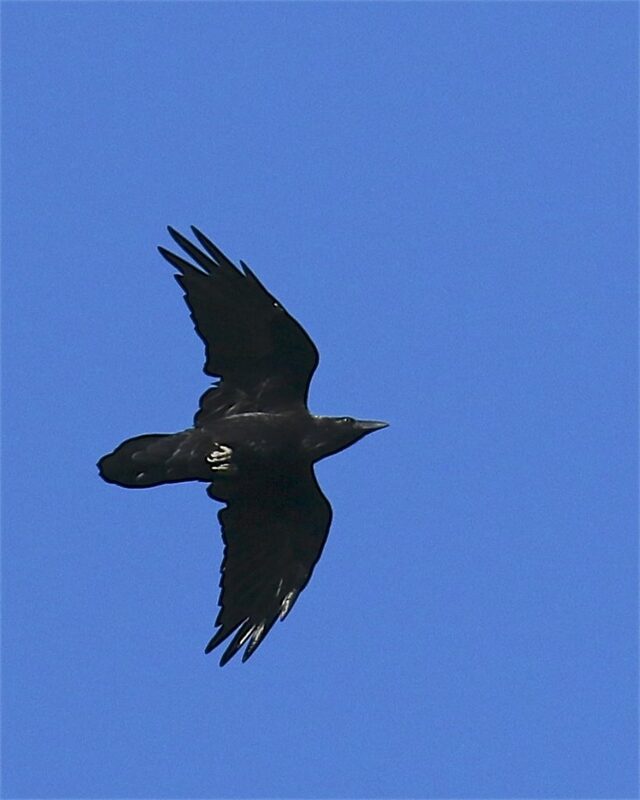 I was feeling pretty sure that they were BBPLs; I waited it out and eventually a couple of them took short flights, exposing the black wing pits diagnostic of BBPLs! I put out the word and Maria Loukeris and Kathy Ashman both ran for them. All three of us enjoyed good scope views of the birds, even if photos were tough. My final count was 23 American Golden-Plovers, 4 Black-bellied Plovers, and approximately 40 Killdeer. Excellent evening of birding! When it rains it pours, here’s my fourth post in as many days. Tricia and I spent a week in the Adirondacks on a family vacation with both of her brothers, her nephew, and her cousin and his family. We stayed at a great place, White Pine Camp in Paul Smiths, New York. I would certainly recommend it to anyone planning to head up to the Adirondacks and we will surely go back. So, while it was not a birding trip, almost all of our time was spent outdoors. We did a lot of canoeing and kayaking (we did one epic day of 9 lakes in 8 hours in a canoe). 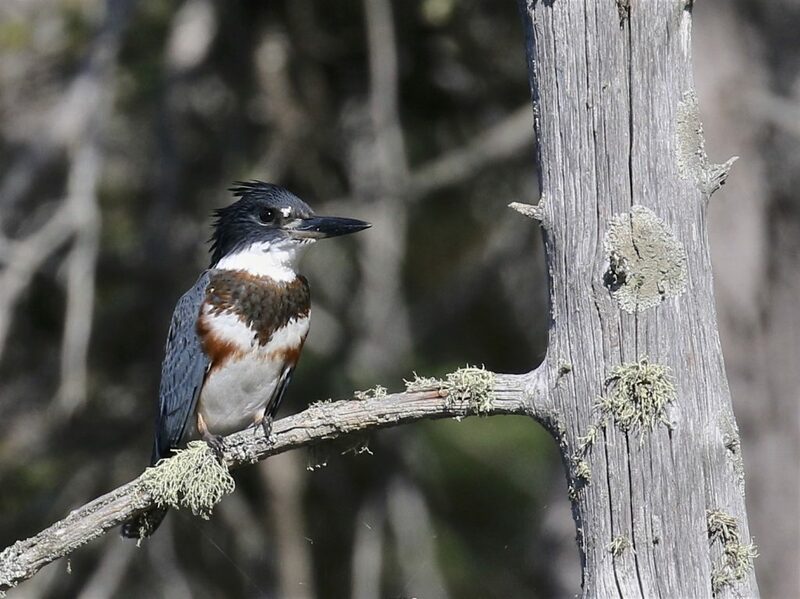 And, I did get out and do some birding on my own, checking out some of the local hotspots, including Bigelow Road and Bloomingdale Bog (both the north end and the south end). Unfortunately, it was pretty quiet on the birding front. 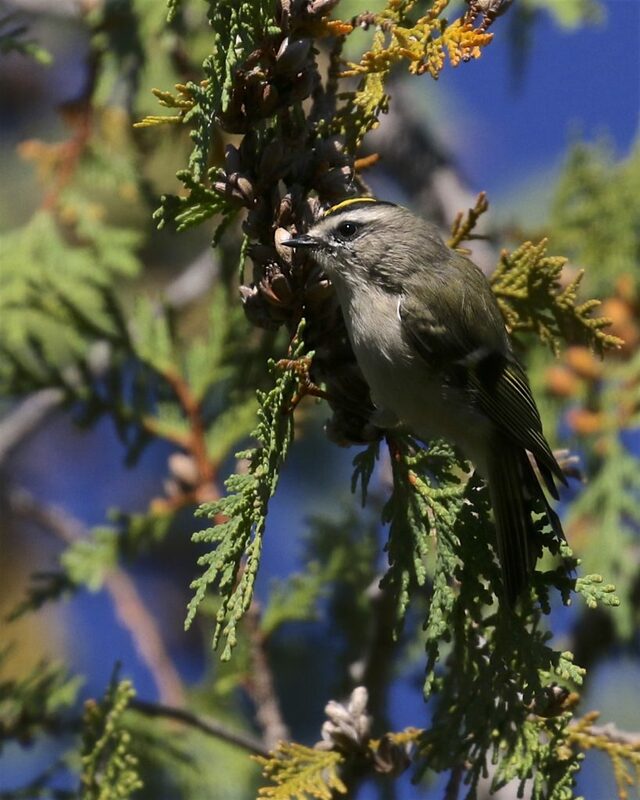 I did manage to see Gray Jays in 2 locations, and I had a Yellow-bellied Flycatcher at Bigelow Road. 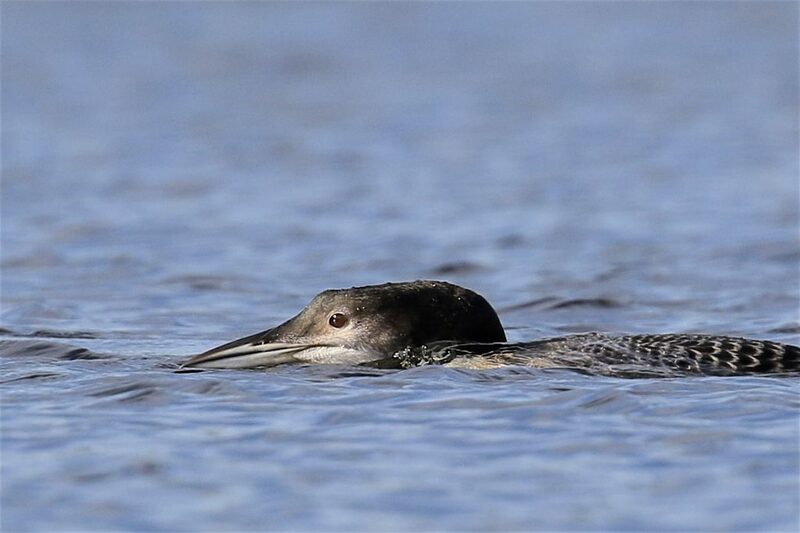 On one paddling trip, Tricia’s brother Kevin located a young Red-bellied Woodpecker, which was a bird I wasn’t expecting to see for some reason. 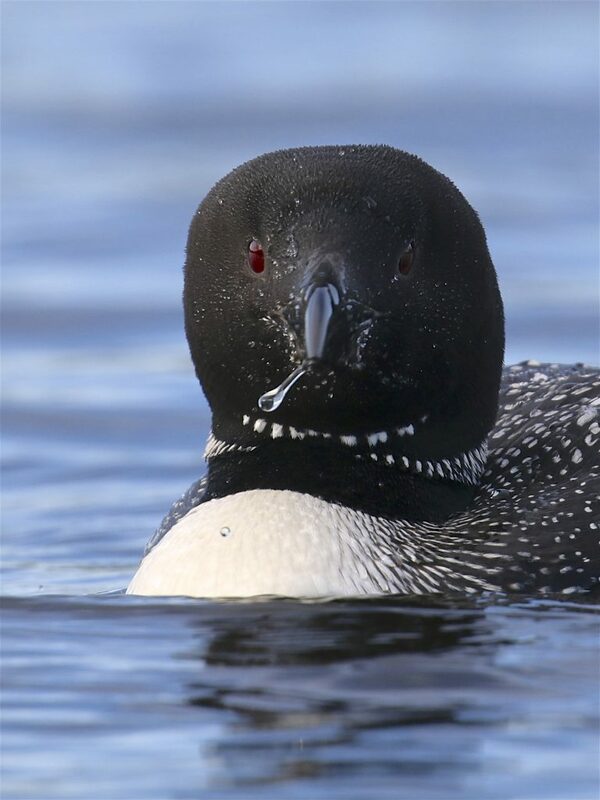 I came up empty in regards to Boreal Chickadees and Black-backed Woodpeckers, which was disappointing. For the week I had just over 40 species. Anyway, it was a great time and I hope you enjoy my vacation photos. 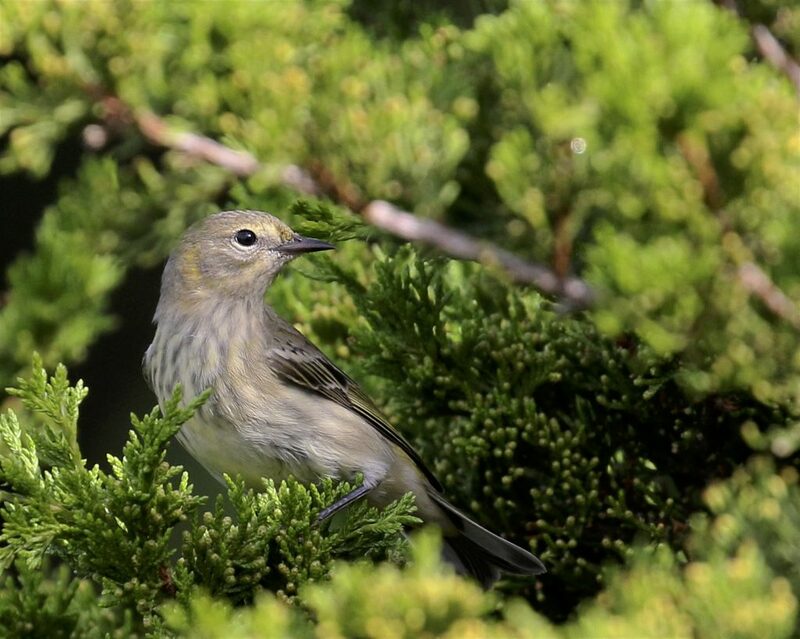 I met Linda Scrima out at Winding Waters Trail early this morning; I was hoping to get my first Lincoln’s Sparrow of the year, and we thought maybe we would get lucky with the Connecticut Warbler for Linda. 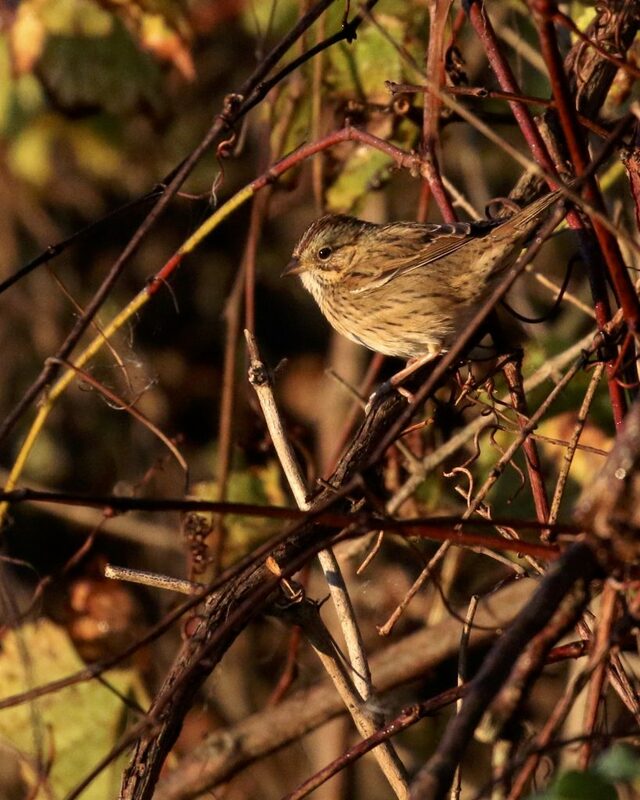 Just a short way down the trail, Linda got me on a Lincoln’s Sparrow in very nice light. 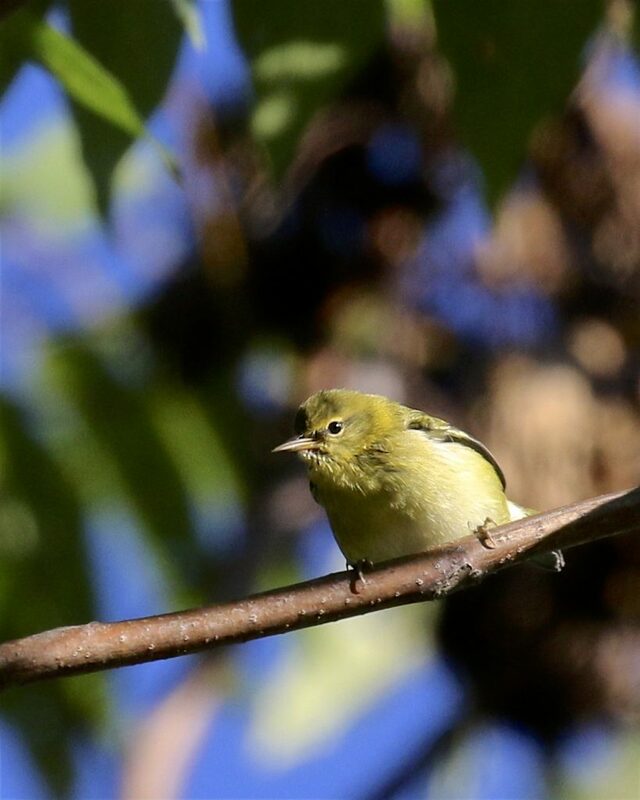 As we worked our way toward the area where the Connecticut Warbler has been seen, a group of birders caught up with us. It was Scott Baldinger, Karen Miller, Bruce Nott, Jody Brodski and Diane Bliss (who actually caught up with all of us further down the trail). I was thinking that I did not like our odds of relocating the CONW with such a large group, but we would try our best. It was a very birdy morning on the trail and having all the extra eyes helped locate many birds. 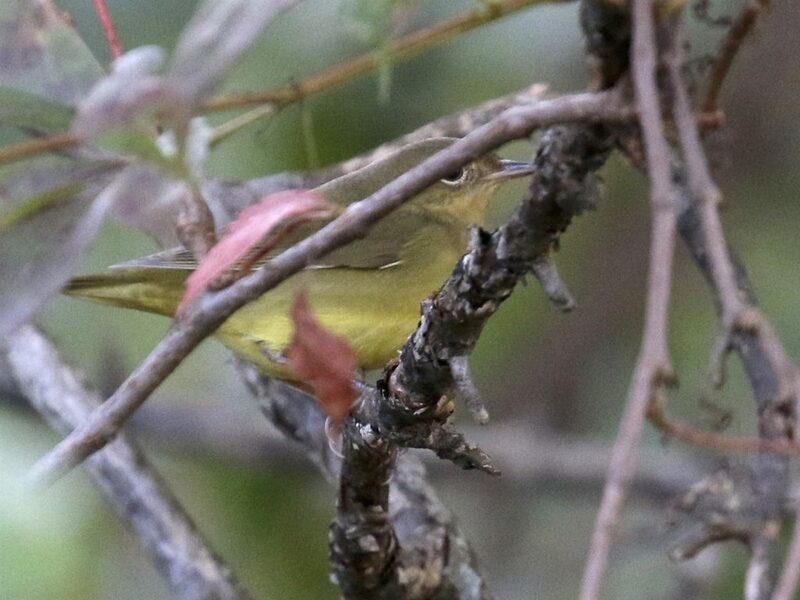 We did particularly well with warblers; Northern Parula, Magnolia Warbler, Tennessee Warbler, Common Yellowthroat, and Black-throated Green Warbler were all seen well (it was my lifer Tennessee Warbler – woohoo!). 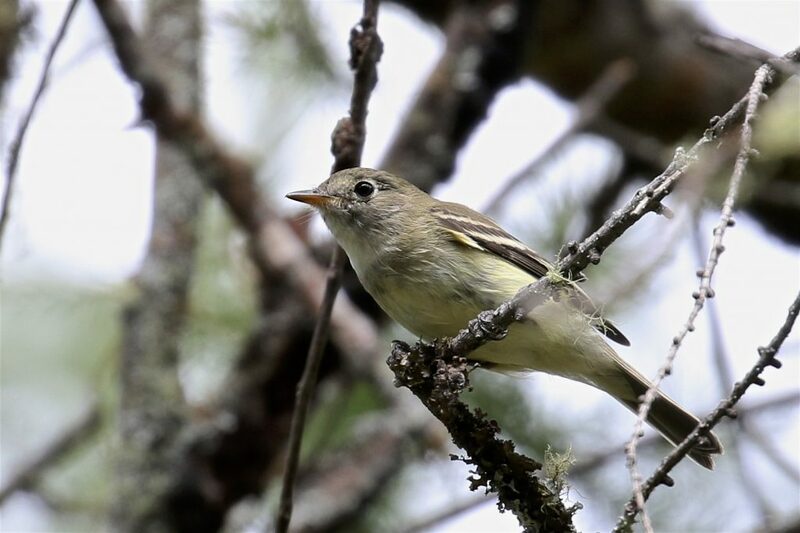 The one warbler that was not cooperating was the Connecticut, at least not for a good while. Then, a bird popped up just to the left of me and Jody. 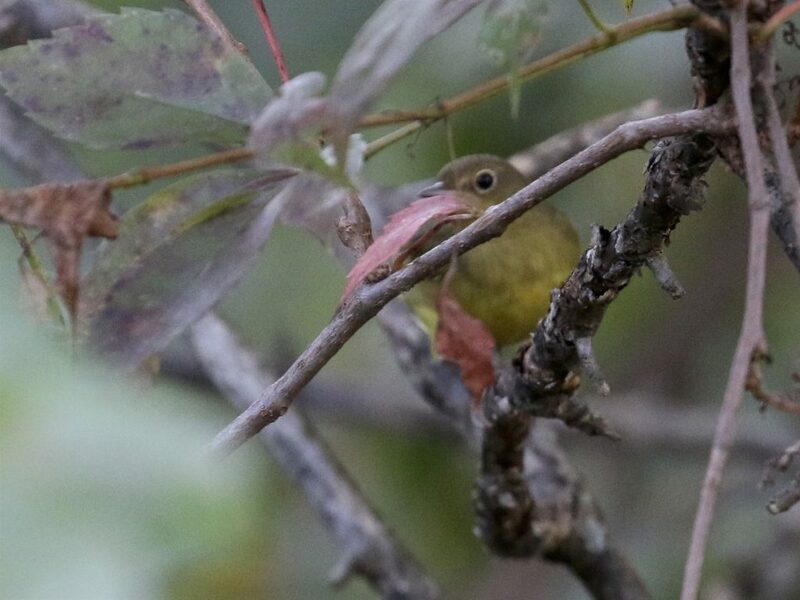 We both got on the bird quickly and knew it was the CONNECTICUT WARBLER! It perched briefly and then moved further up and into another tree. We were trying frantically to get everyone on the bird, which then crossed the path and perched in some ivy high up on a tree trunk. It eventually showed itself very well on an open branch in good light and I was lucky enough to get a photo. AND, everyone in the group was able to get on the bird! I was really shocked that it worked out, and everyone was pretty giddy about it. The bird was a life bird for everyone in the group outside of myself and Scotty. 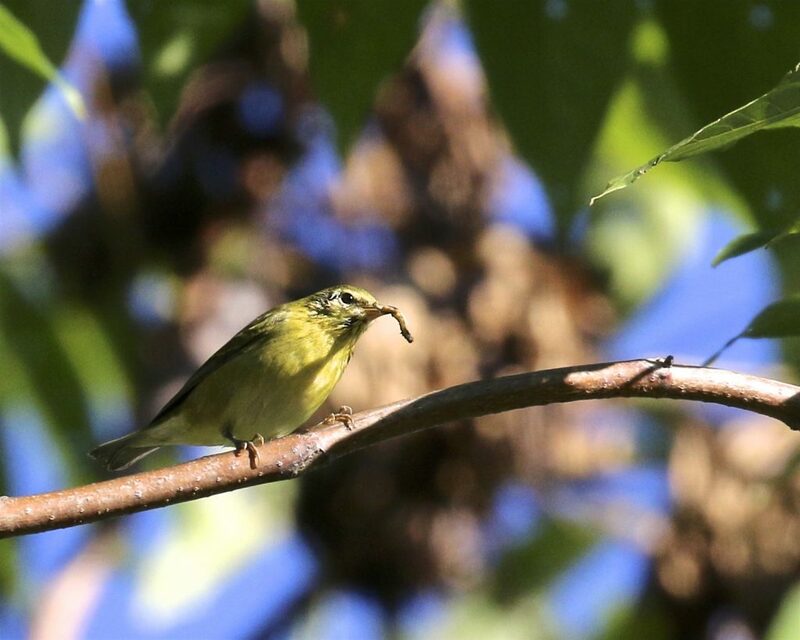 Pretty exciting birding! As a side note, Jody had a flyover of a Sandhill Crane in the Black Dirt Region on her way to Winding Waters. I ran around a little bit afterwards, as did Bruce and Jody, but as of this writing no-one had any luck relocating that bird. Luke Driscoll, Thomas Driscoll, Mike Limatoli, Sue Dougherty, Peter & Glyn Nixon, Anne and Phil Ribolow, and Matt Vrydacjis. Cloudy and cool for the first hour and a half of the watch, then nearly cloudless and warm for the remainder. Wind from the northwest for most of the day. Temperatures ranged from 13 to 21 degrees Celsius. One adult and one immature Bald Eagle, one unknown Northern Harrier, one unknown Red-shouldered Hawk, and one male American Kestrel. Non Raptor Species: Highlight was a flock of approximately 30 Double-crested Cormorants that passed through, which was very interesting to watch. Other species: Blue Jay (85), Black-capped Chickadee (2), Red-breasted Nuthatch (1), White-breasted Nuthatch (1), Common Raven (2), American Crow (4), Northern Flicker (1), American Goldfinch (2), Ring-billed Gull (7), Chimney Swift (2), Cape May Warbler (2). 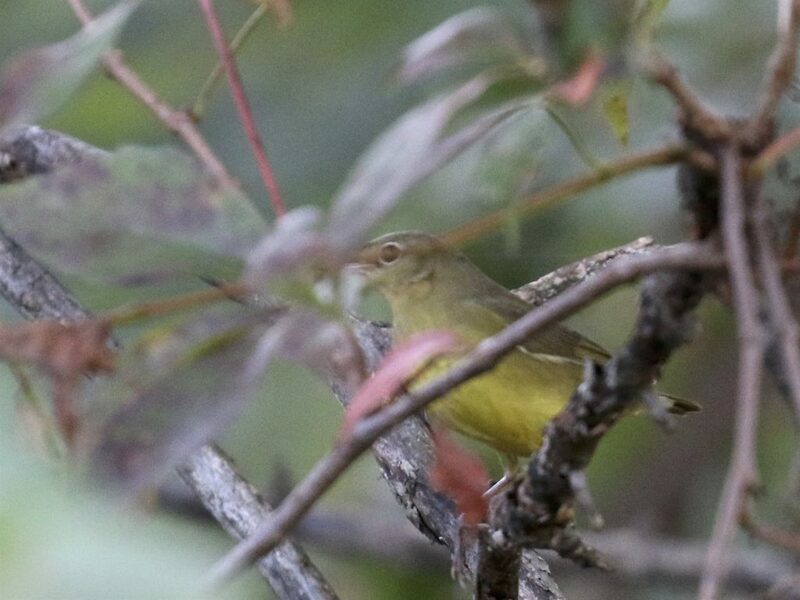 OC Connecticut Warbler = #200! 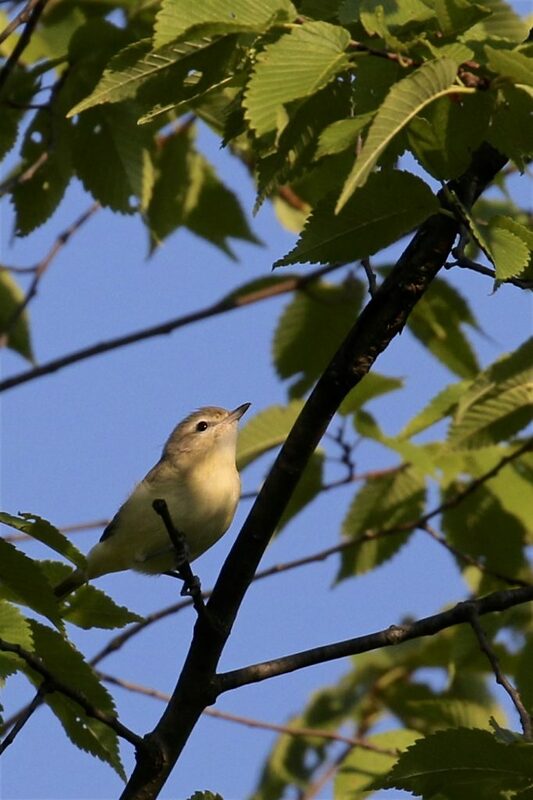 I went out to the Winding Waters Trail at Walkill River National Wildlife Refuge two times today, hoping to relocate one of the two Connecticut Warblers that Rob Stone had there this week. 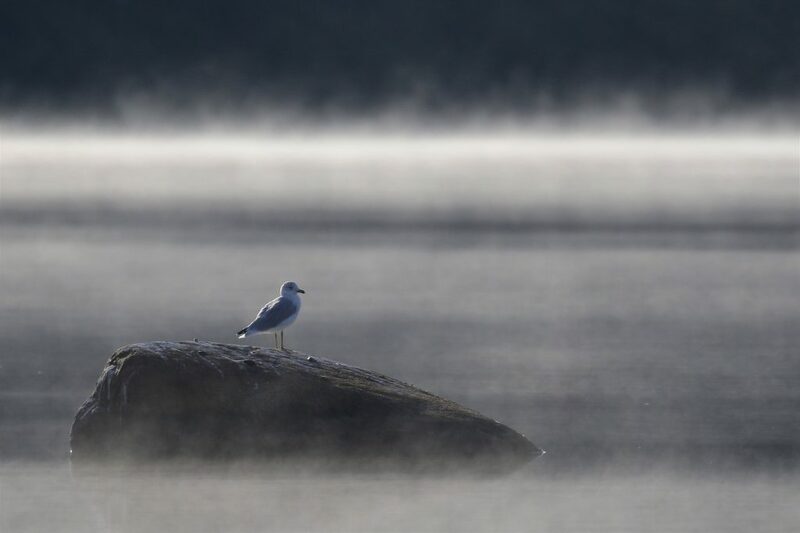 I was there in the morning, but unfortunately there was no sign of the bird(s). I ended up going back in the evening, as I was walking the trail a bird popped up out of the underbrush and perched about 4 feet up. I looked in my binoculars and saw the prominent eye ring and began taking photos. 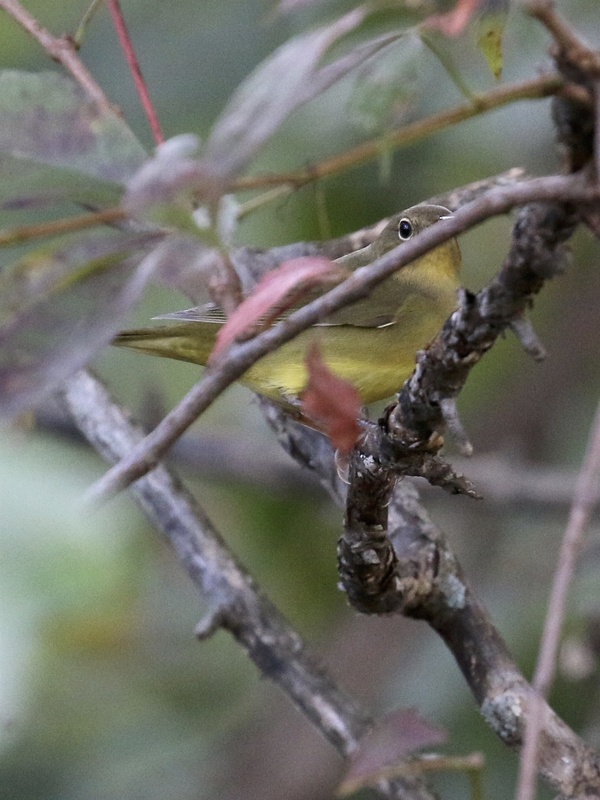 It was a CONNECTICUT WARBLER! The bird quickly returned to the underbrush and I never saw or heard it again. This is a life bird for me (#370), and also, more excitingly, my 200th bird in Orange County this year! I, of course, wish I’d gotten better photos, but really, I’m happy to have gotten any shots at all. 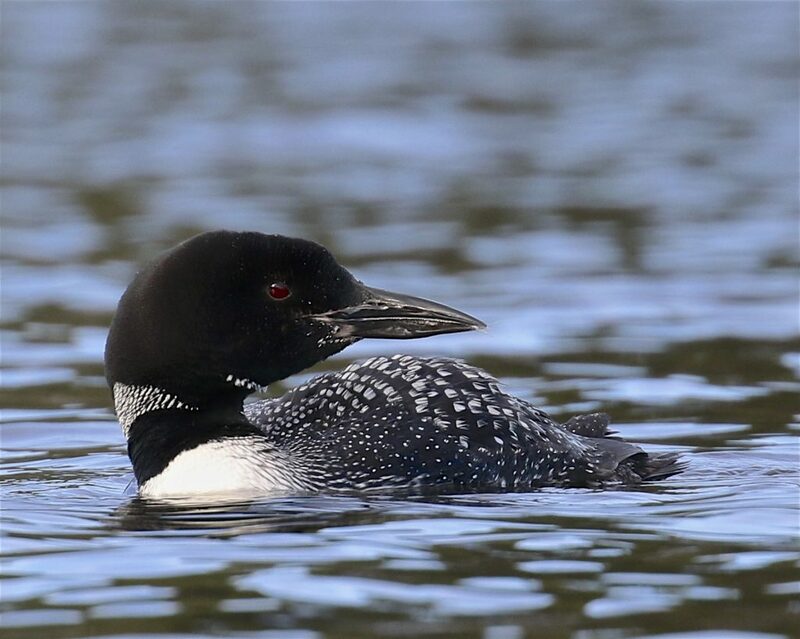 Huge thanks once again to Rob Stone, what an excellent bird! 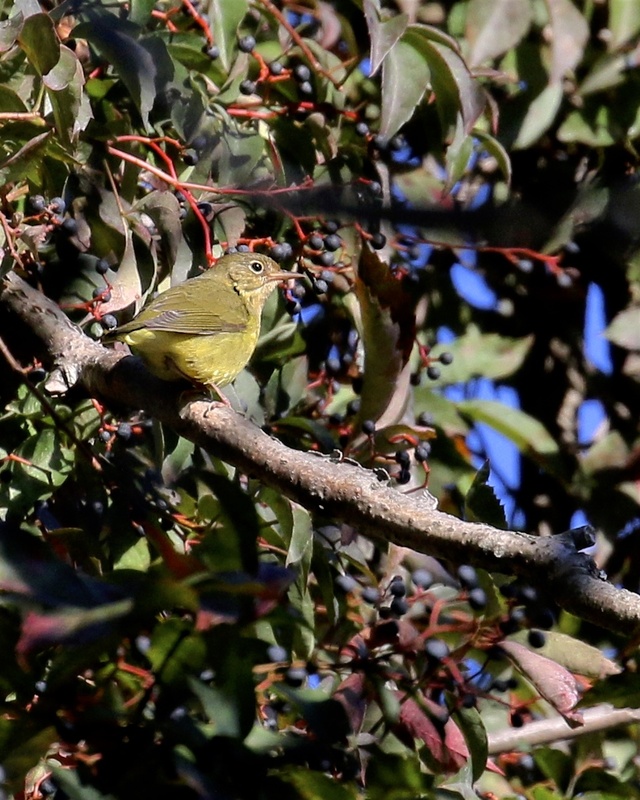 Author mattzeitPosted on September 23, 2016 September 24, 2016 Categories New York State, Orange County, Rarities, Songbirds12 Comments on OC Connecticut Warbler = #200! Things are starting to heat up at Mount Peter Hawkwatch; right now is prime time for Broad-winged Hawk migration. 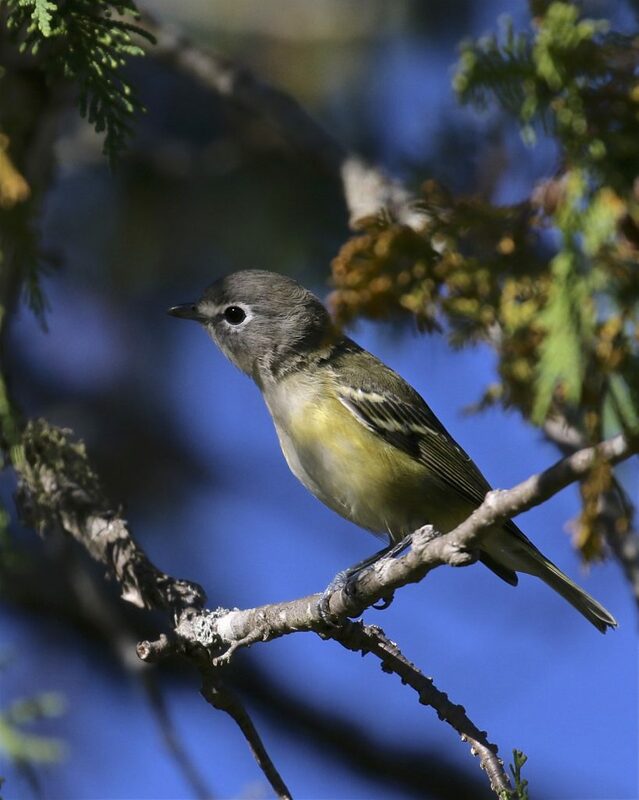 In the past three days they have counted over 1,300 migrating BWHAs. 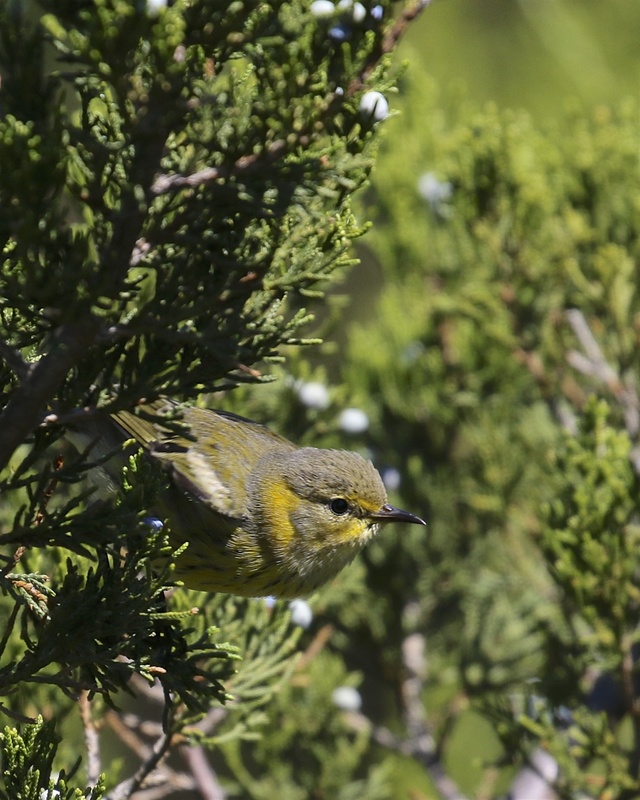 I was up on the mountain on Tuesday and although I did get some birds, I didn’t have any kettles of Broadies. 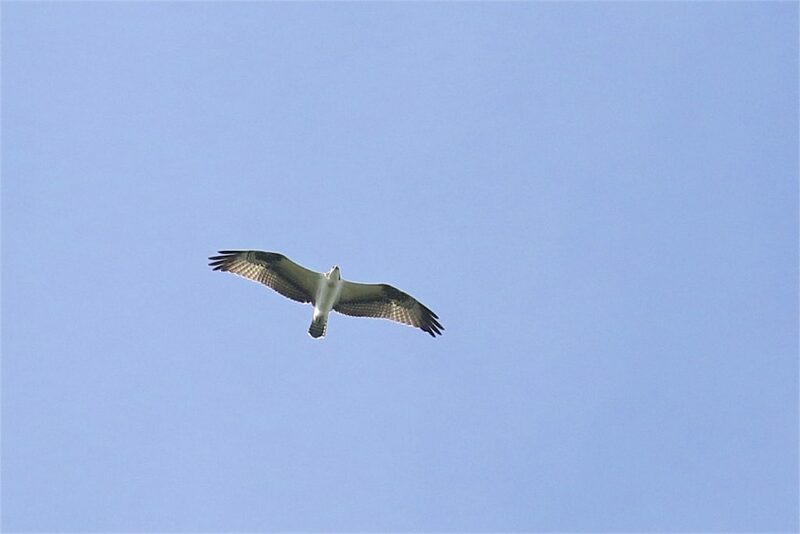 Today was a different story, I got my first taste of the Broad-winged Hawk migration, seeing two smaller kettles pass over the viewing platform, one with 38 birds and the other with 48 birds. 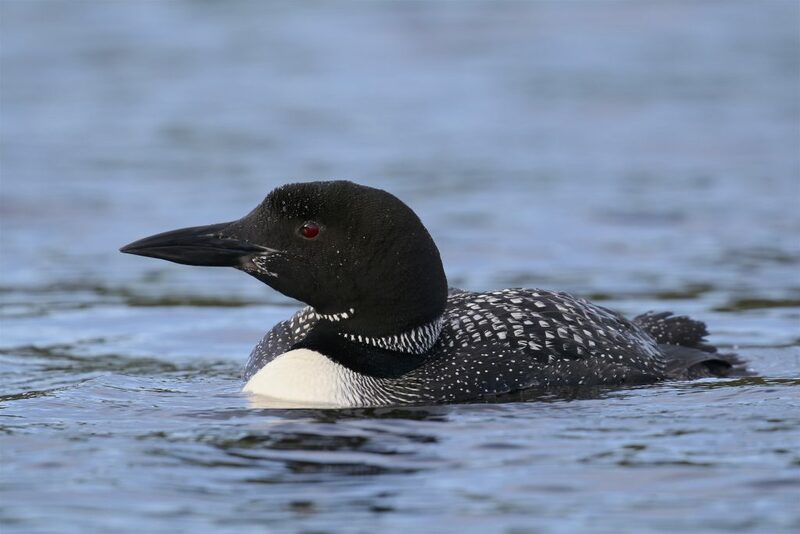 I’m looking forward to seeing how many Broadies we will get this year! On a side note, I was out of commission last weekend as I was away on a golf trip in Vermont. This weekend we are spending an extended weekend up in the Adirondacks. I plan on doing plenty of birding while I’m there, so I will certainly post about it next Thursday when we return. Yesterday morning I made a brief stop at Highland Lakes State Park in Middletown before heading up to Mount Peter Hawkwatch to participate in cleanup day. I was initially saving the report and photos to do an end of the weekend post, thinking I could add any birds I had today to it. The problem is that the birds did not cooperate today; it was pretty dead out there for me, from Mt. Pete Hawkwatch to the black dirt. So, back to my Sunday morning at HLSP. It was a brief but birdy stop; I had 26 species in less than an hour of birding. 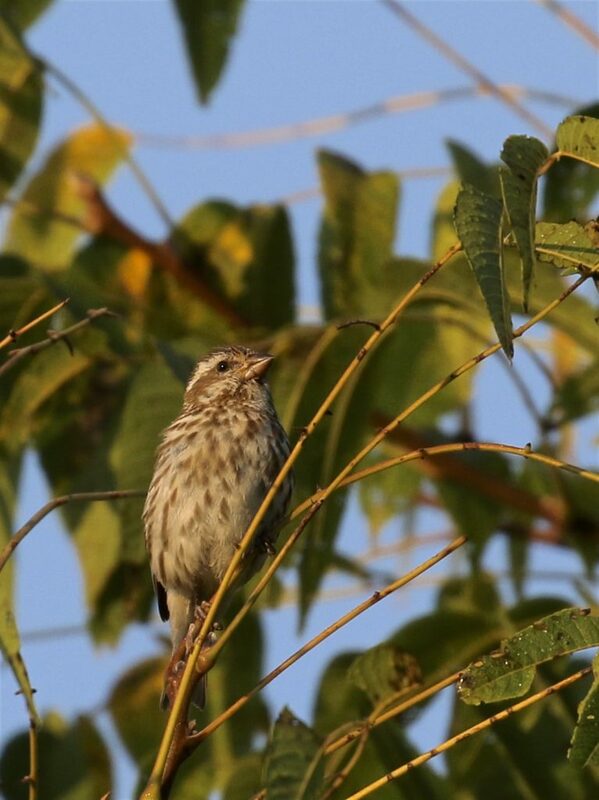 Most noteworthy was my FOY PURPLE FINCHES, which put my total for my Orange County year list at 199. 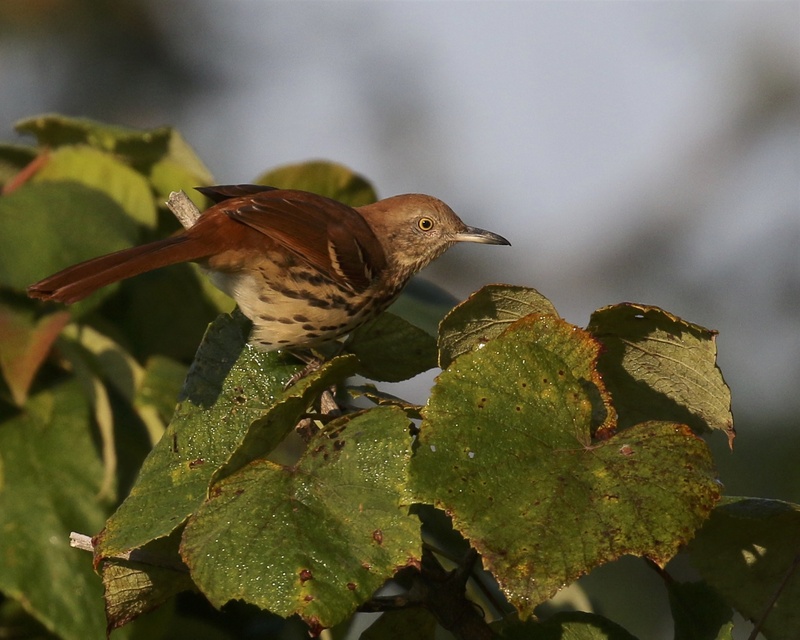 I also had a great photo op with a Brown Thrasher, which is a bird I don’t seem to see very often these days. 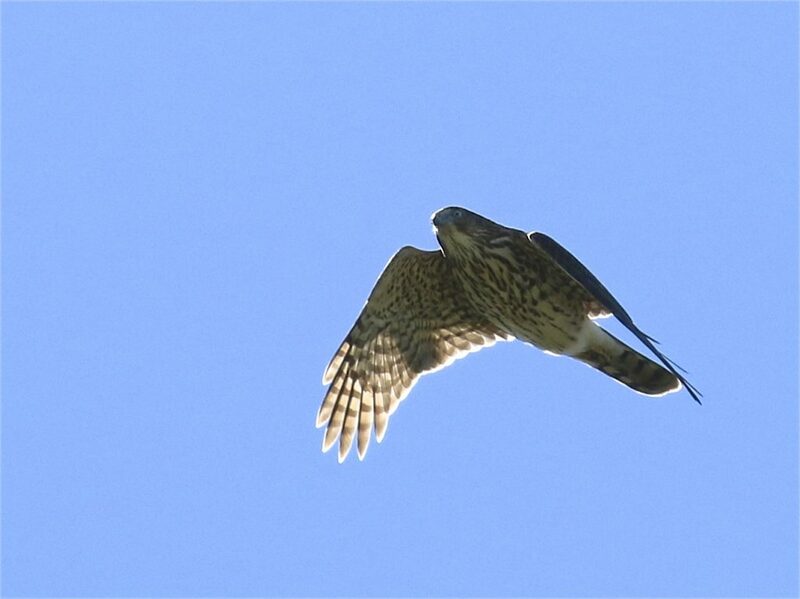 The hawkwatch season at Mount Peter finally began this past Thursday. I made my first visit on Friday, joining the official counter for the day, Denise Farrell in the early afternoon. Raptor migration was on the slow side for most of the day, but she had been entertained by the several RED-BREASTED NUTHATCHES that were in the area. 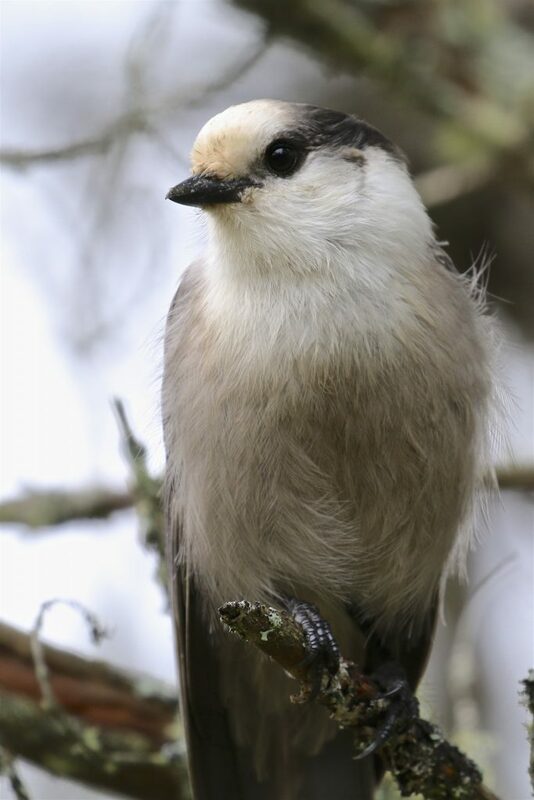 I was excited to hear about these birds because I did not have them in Orange County for the year. It took a little while, but one finally made an brief appearance, I didn’t get any photos, but still, I was happy. Meanwhile, the hawks were starting to move through. 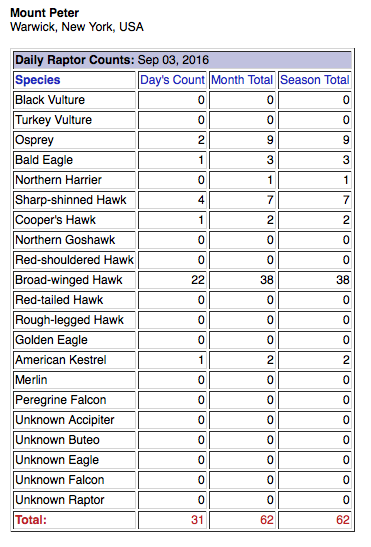 In the 2 1/2 hours I was there, we had 22 raptors migrate through, giving Denise a total of 27 for the day. 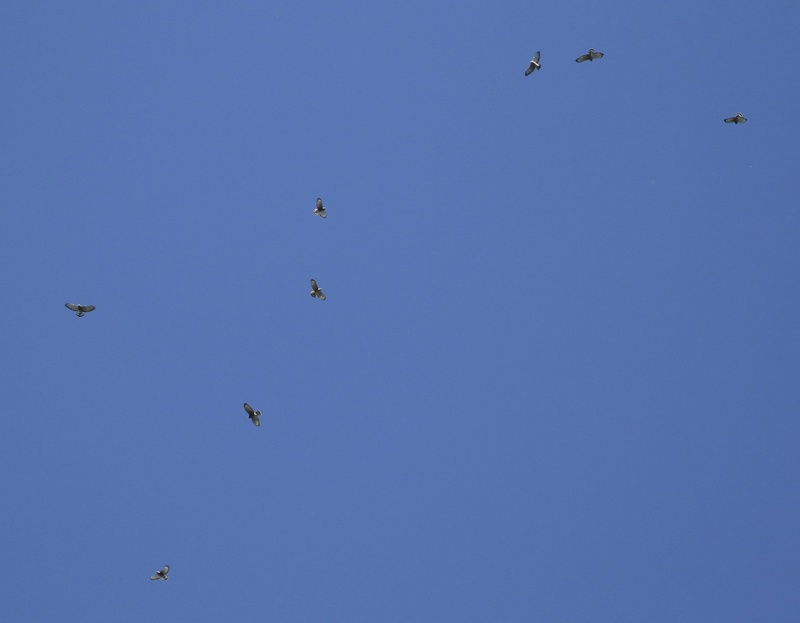 The highlight for me was a ‘mini-kettle’ of five Broad-winged Hawks observed over the valley. 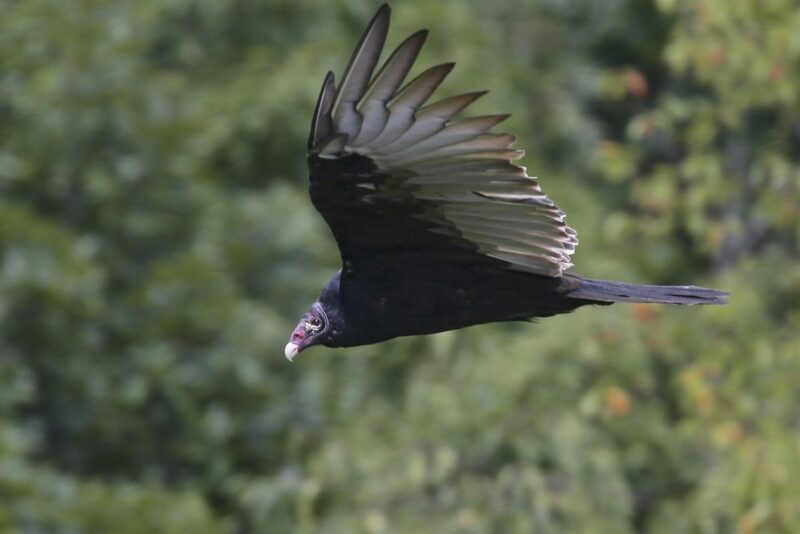 ~Time to start with the obligatory Turkey Vulture shot from the mountain. I plan on doing better than this one. TUVU at Mt. Peter Hawkwatch 9/2/16. Today was my first day of the season as official counter. Right off the bat I knew it could be a good day when I had two very close Red-breasted Nuthatches on the trail from the parking lot to the viewing platform. And I was able to get some photos! Sharon Ayling, Tom Mitchell, Maria Loukeris, Diane Held, and PJ Singh. Warm, sunny with clouds. Gentle winds mostly out of the North/Northeast. Temperatures ranged from 18 to 22 degrees Celsius. Migrating Raptors: One unknown American Kestrel migrated in the first hour. In the 6th hour an adult Bald Eagle escorted an immature Bald Eagle through the territory. 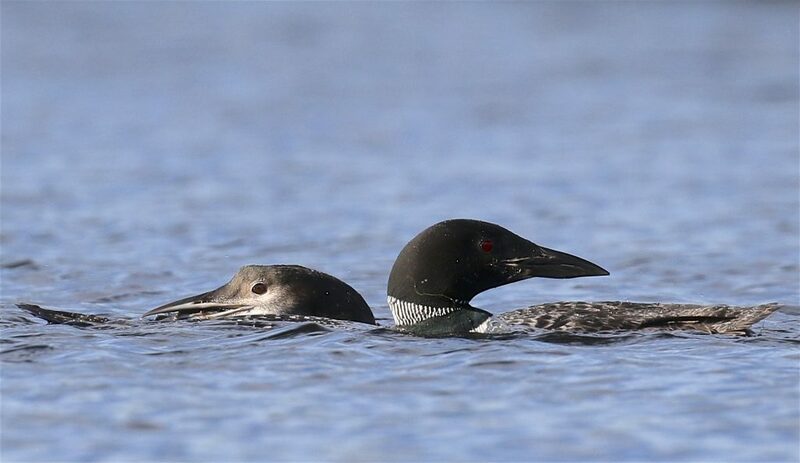 The immature migrated and the adult went back north. 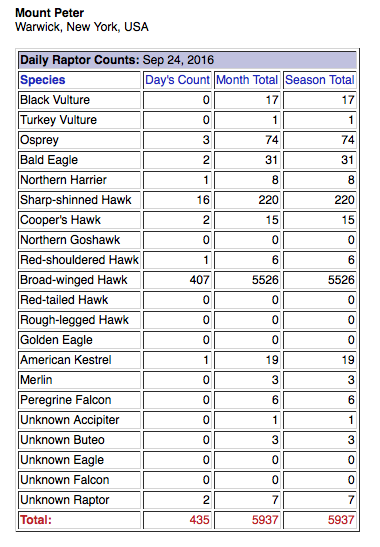 Non-migrating Raptors: Two local Red-tailed Hawks and many local Turkey Vultures and Black Vultures. 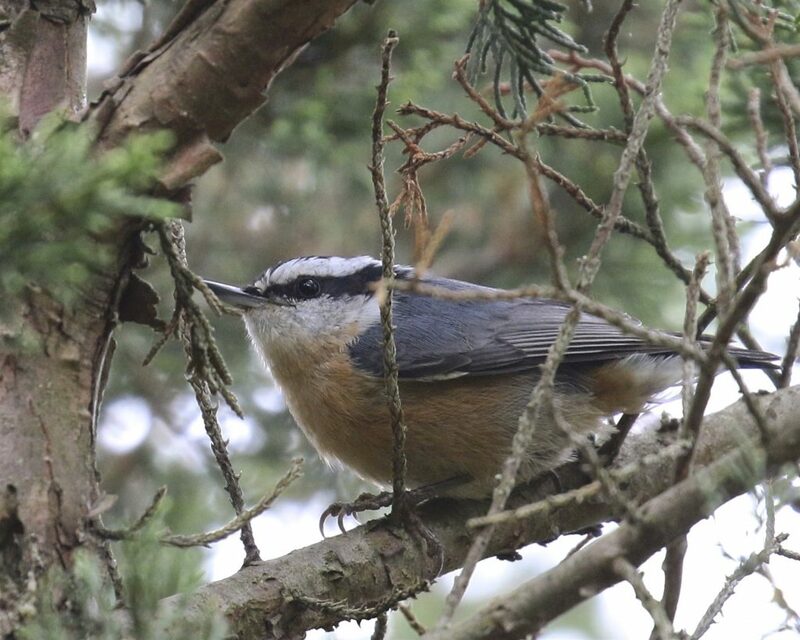 Other bird species observed: Blue Jay (15), Red-breasted Nuthatch (3), Cedar Waxwing (24), Common Raven (1), American Robin (18), American Crow (3), American Goldfinch (15), Gray Catbird (2), Red-bellied Woodpecker (2), Scarlet Tanager (1), Black-capped Chickadee (4), Northern Flicker (2), Rock Pigeon (1), Ruby-throated Hummingbird (3), Pileated Woodpecker (1), Chimney Swift (3). SHOREBIRD UPDATE: I’ve also checked 6 1/2 Station Road Sanctuary for new shorebirds the past couple of days. 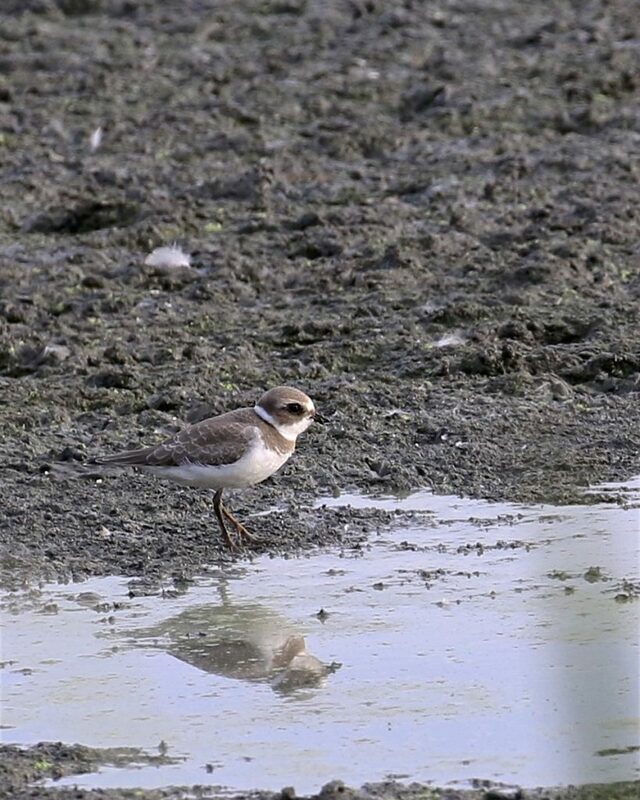 The only new birds that I have observed were a couple of SEMI-PALMATED PLOVERS. 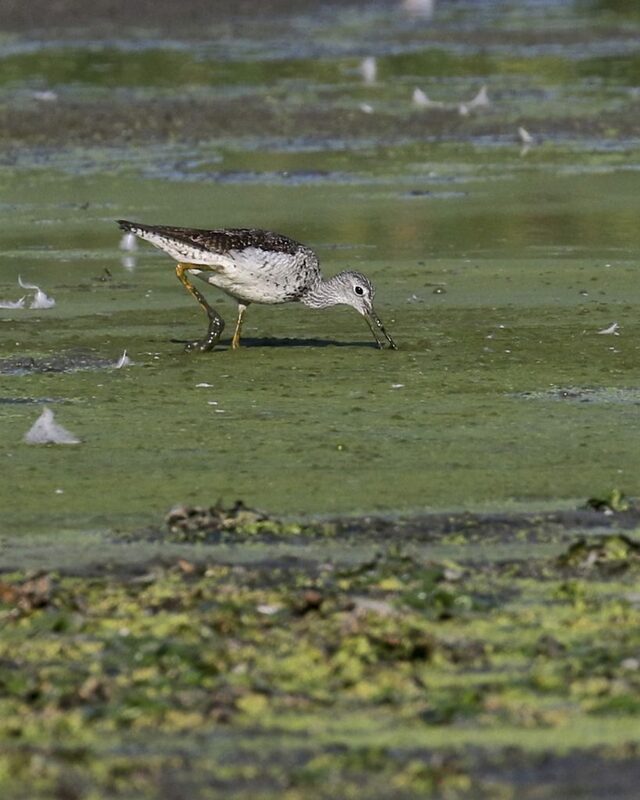 I have not been in the black dirt but have received reports that Buff-breasted Sandpipers and American Golden-Plovers are still being seen. Author mattzeitPosted on September 3, 2016 September 4, 2016 Categories New York State, Orange County, Raptors7 Comments on Mt. Peter Hawkwatch Begins! 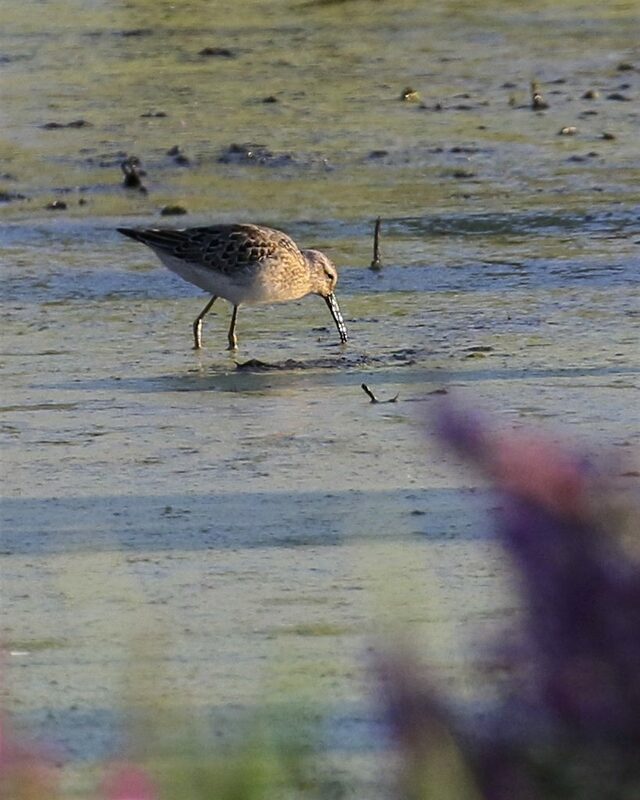 I went out and walked the Wallkill River National Wildlife Refuge’s Liberty Loop trail to follow up on an eBird report of a Short-billed Dowitcher in the Sussex County portion of the trail. 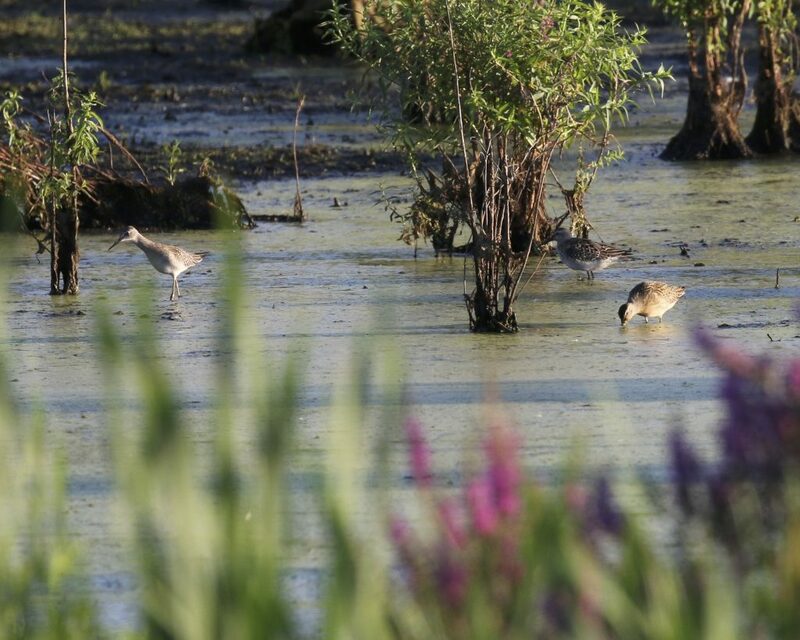 I relocated the SBDO, but I also was fortunate enough to find a STILT SANDPIPER. The bird was feeding most of the time I saw it, head going up and down like a sewing machine. I was feeling lazy and walked the trail without hauling my scope with me, and I really regretted it as the birds were far enough out to make IDing them with binoculars tough. 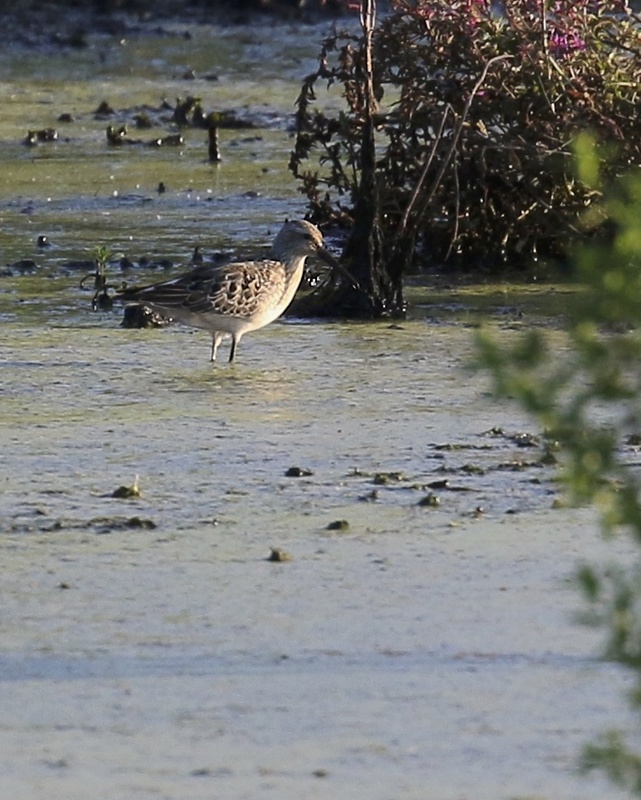 The pond was loaded with shorebirds, in addition to the STSA and the SBDO I also had Least Sandpipers, Killdeer, Lesser Yellowlegs, Greater Yellowlegs, Solitary Sandpipers, and Pectoral Sandpipers. Other highlights included a quick look at a young Black-crowned Night-Heron and a beautiful male Northern Harrier hunting over the marsh.